What's great about West Baldwin is that it's located just 6 miles outside of Douglas, yet appears to be in the middle of the countryside. The area is best known for West Baldwin Reservoir, which was built by Douglas Corporation in 1905. Offering the perfect place for fishing fans, the reservoir runs for three quarters of a mile and in the past has been a popular location for filming the odd blockbuster on the Isle of Man. 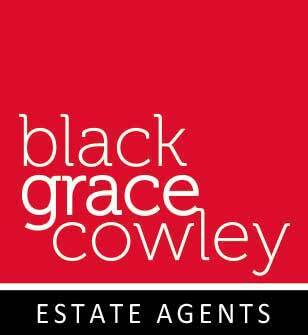 When it comes to houses for sale in West Baldwin, Black Grace Cowley should be your number one choice. We have over 90 years of combined experience at our offices and our dedicated staff love nothing more than matching you with the ideal property for sale in West Baldwin. With knowledge of both commercial property and residential property, we are experts at what we do which is why we always strive to provide the best customer service possible. With deep roots in the Isle of Man, we love the opportunities this Island brings especially in respect to West Baldwin property. A mere 10 minute drive from Douglas town centre, West Baldwin is popular with a range of people from families to young professionals and Black Grace Cowley has a number of great houses and property for sale in West Baldwin. If you want to get on the West Baldwin property ladder, then get in touch with Black Grace Cowley today and see why what we offer is so appealing. Our approach to business is simple; we listen to our customers and we do our best to find what they want. With a passion for the Isle of Man, a passion for property and a passion for our clients, we've worked hard to become one of the leading estate agents on the Isle of Man. So if you are interested in seeing houses for sale in West Baldwin, don't hesitate to give us a call and see what we can do for you. Have a browse of the page and if anything in the way of West Baldwin property catches your eye, please come in and visit us. We want to find the ideal property for you.